dbHK rounds up this week’s Hong Kong highlights from a Penfolds re-corking clinic to a Georgian wine tour by Debra Meiburg MW, as well as a workshop by Port producer Symington Family Estates. 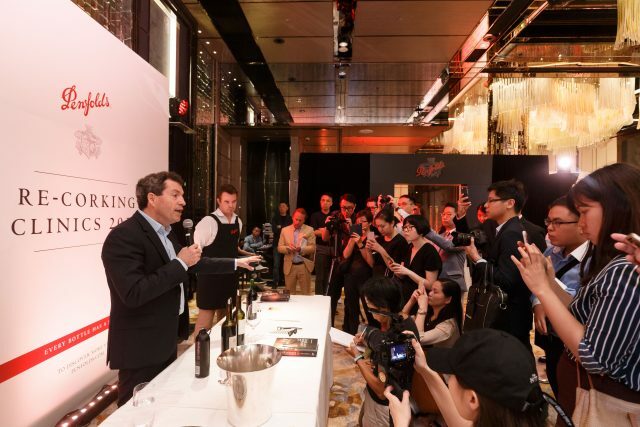 Speaking to media about the purpose of Penfolds’ re-corking clinic, Peter Gago, chief winemaker at Penfolds, explained its goal is to perform a health check-up on aged wines as well as to stamp out suspicious bottles circulating in the market. At the event in Hong Kong, more than 400 rare bottles were examined by Penfolds’ winemaking team.